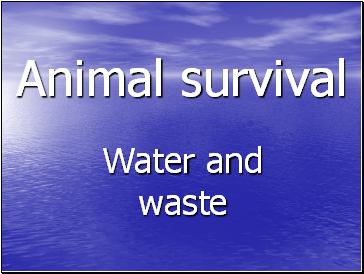 Identify ways in which a mammal gains and loses water. 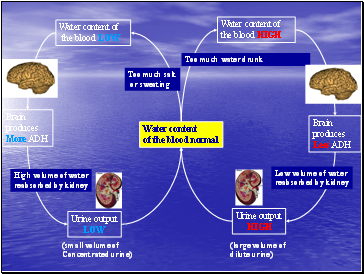 State that the kidneys are the main organs for regulating the water content in a mammal. 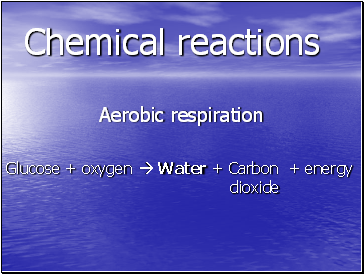 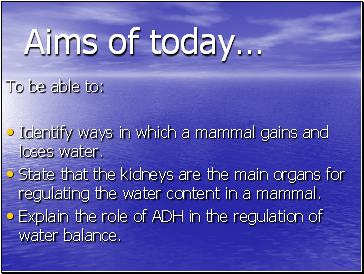 Explain the role of ADH in the regulation of water balance. 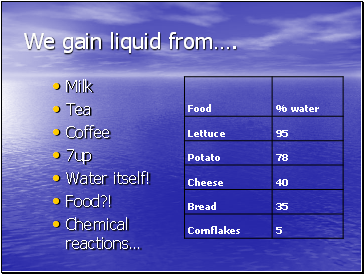 70 % of our bodies are water! 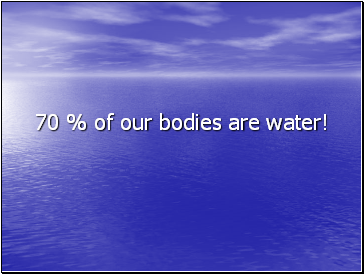 70% of our bodies are water. 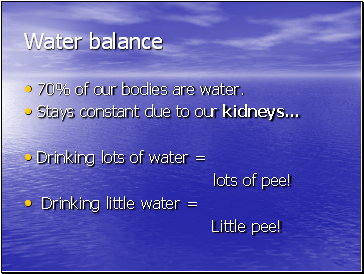 Kidneys are controlled by anti-diuretic hormone (ADH) released from the pituitary gland (attached to brain). 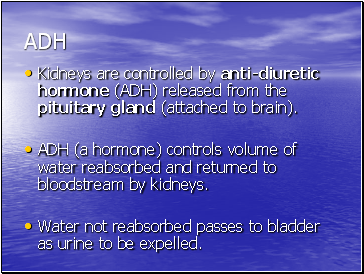 ADH (a hormone) controls volume of water reabsorbed and returned to bloodstream by kidneys. 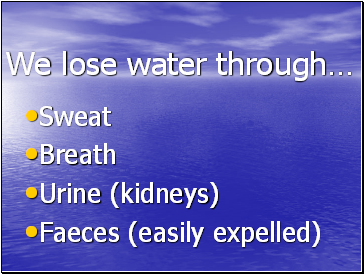 Water not reabsorbed passes to bladder as urine to be expelled.